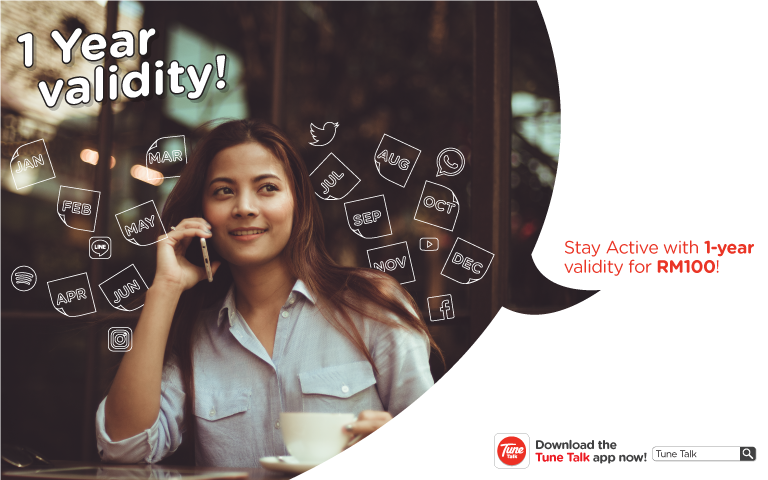 After Tune Talk introduced its latest #SureOne prepaid pack, the MVNO (Mobile Virtual Network Operator) has also revised its 1-year validity offer. Previously, you would only need to pay RM28 to keep your active for 365-days but now they have increased the price to RM100. To keep your Tune Talk account active, you would need to top up a minimum of RM100 and then send an SMS “EXT” to 2222. After confirmation, your line will be active for one full year. For those who are still on the previous Tune Talk Buddies Prepaid pack, you can still extend at the lower rate of RM28/year. 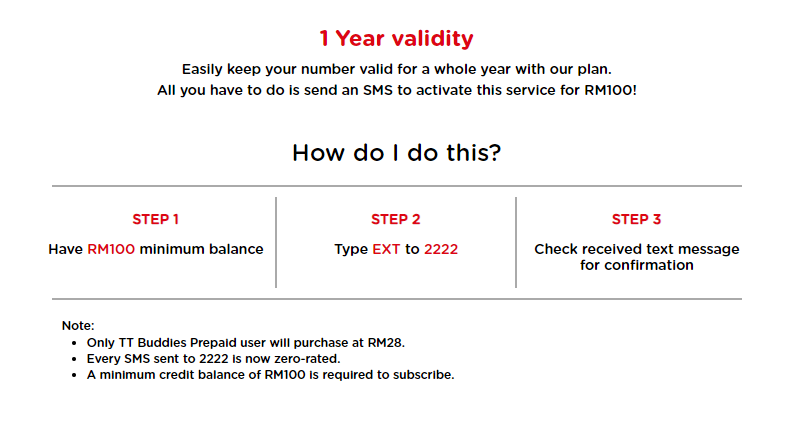 The one-year validity extension option was introduced on Tune Talk in 2011 for RM38/year. Eventually, this was reduced to RM28/year and occasionally, there were promos where you can activate this long life validity for as low as RM10. If RM100 is too expensive just to stay active, Tune Talk has a one year data plan that offers 120GB of data (10GB/month) for RM200 that’s paid upfront. This calculates to RM16.67/month and you’ll get 10GB each month. According to the T&C, the plan is bundled with 1-year airtime validity from the date of subscription.